Israeli travel agents visited the Philippines recently to explore travel opportunities in the country, as part of the Educational Tour Philippines 2017 conducted by Mona Tours Ltd., one of the biggest travel agencies in Israel. Mona Tours spearheaded the trip as part of the company’s efforts to redefine its exotic travel packages. 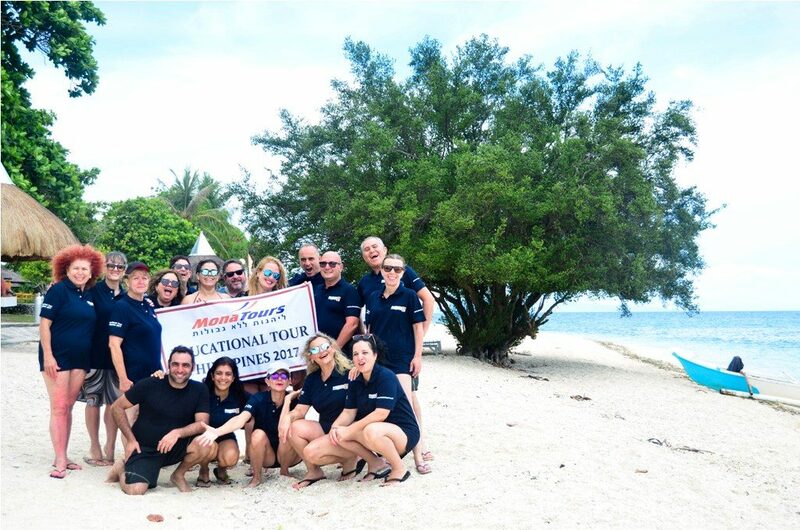 Eighteen travel agents from various companies, mostly branch managers and sales directors, including Mona Tours’ own Exotic Destinations Sales Manager Valerie Benzur who organized the trip, visited popular tourist destinations in three provinces. Yoav Golan, a member of the Israel Chamber of Commerce of the Philippines (ICCP), was the selected ground handler for all their services in the country throughout the tour. The group had ocular visits in the major hotels and tried out different activities in the provinces and islands. Apart from Manila, the travel agents first visited Laguna, a province very near to the capital. They went on a scenic boat ride and the famed shooting the rapids in Pagsanjan Falls, having their fill of the local lush vegetation and natural rock formations. 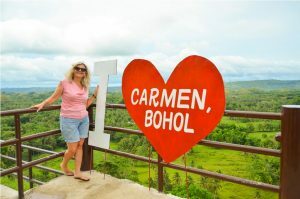 The next two days brought them to the picturesque spots of Bohol province, where they were amazed by the 1,000-plus Chocolate Hills in the town of Carmen and the island hopping adventure opportunities off Panglao Island. 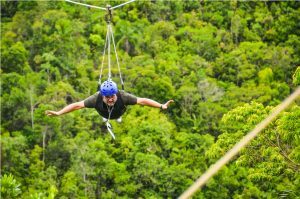 The travel agents went on a river cruise and ziplined over the Loboc (or Loay) river in the Loboc Eco-Tourism Adventure Park, which offered a great view of the province’s mountain slopes and lush, green trees. They experienced the marine life-rich waters of Balicasag Island and walked the long stretch of fine, white sandbar of the Virgin Island. Finally, the group visited the world-famous beach destination of the country, Boracay Island’s White Beach off the province of Aklan in western Visayas. As the last destination in the group’s educational tour, Boracay capped the week-long fun and adventure. 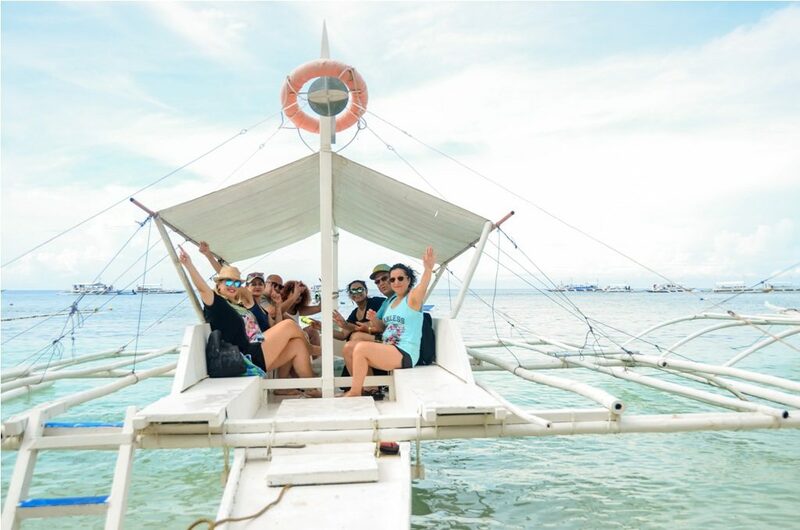 For most of the travel agents, who were first-time visitors of the Philippines, the educational tour opened their eyes to the country’s true destination gems – the natural beauty within the archipelago. They were surprised and amazed at the country’s charm and huge potential for tourism, especially for Israelis wanting to travel during the Jewish New Year in October and the holidays in December. Their reviews and image posts became viral in Israel and they have been getting inquiries. The agents are now working the places they visited into their existing tour itineraries. The Educational Tour Philippines 2017 boosts the long-term tourism initiative of Israel and the Philippines, heightening awareness of travel prospects in the country and increasing mutually beneficial tourism programs.